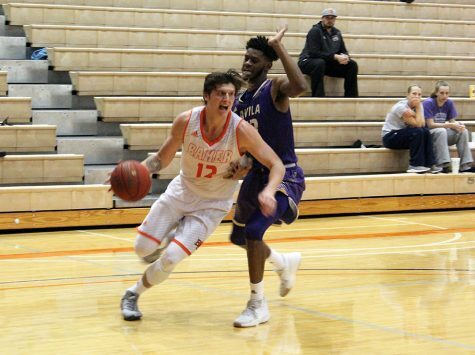 After its worst loss in nearly two months, the men’s basketball team finished off the week with a dominant win over Culver-Stockton College 94-79 Saturday in Baldwin City. The Wildcats are now 7-7 overall and 3-4 in the Heart of America Athletic Conference. 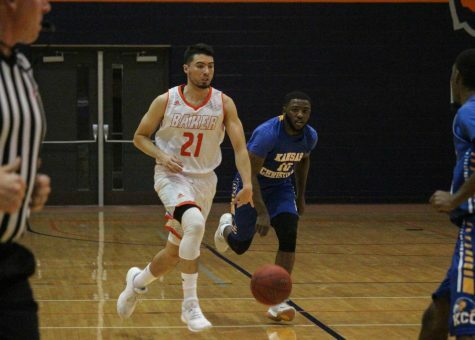 On Wednesday the men lost 79-66 at Central Methodist in a game that the Wildcats were hardly in throughout the second half. Baker led by as many as five points in the first half and only trailed 42-39 at the break. The second half was all CMU as the Eagles led by more than 10 points for the final 13 minutes. Despite double-digit efforts from junior Tyrome Parker (12), junior Taylor Johnson (10) and senior Manny Barnes (10) the Wildcats fell 79-66. Baker only shot nine free throws and two in the second half. The Wildcats shot only 39 percent from the field while allowing CMU to hit 49 percent. In many respects, Saturday’s game was almost the exact opposite of Wednesday night’s. 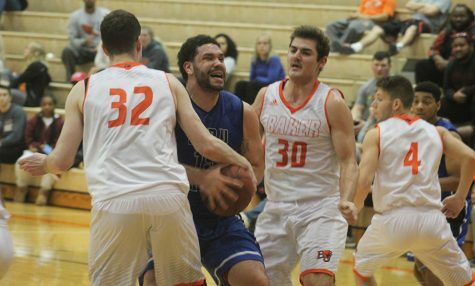 The game was played at a snail’s pace because of tight officiating, Baker shot 34 free throws (25 more than Wednesday) and BU knocked down 54 percent of its field goals. Baker showed early that it would score at will by knocking down 8-13 three-pointers. Johnson and Parker were once again taking care of business off the bench. The second half was a three-point frenzy for Baker. The Wildcats would make 13-21 threes to run away with this one in the second half. 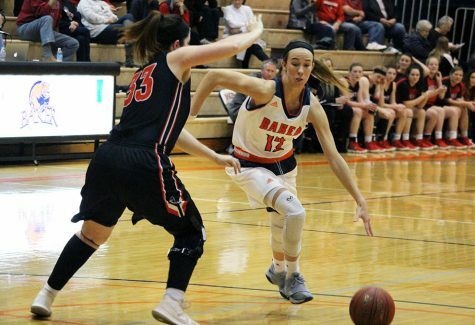 Johnson finished with a season-high 23 points on 8-12 from the field and 3-4 from three-point range, leading Baker to its largest conference win of the season. 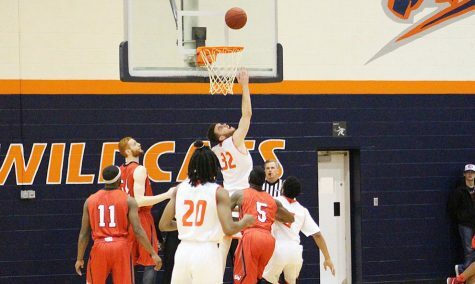 Sophomore Dan Young had his best scoring game in Heart play with 17 points and 7 rebounds on 6-8 shooting. Sophomore Brock Mick came off the bench with the hot hand, knocking down all three of his trifectas and three free throws to finish with 12. 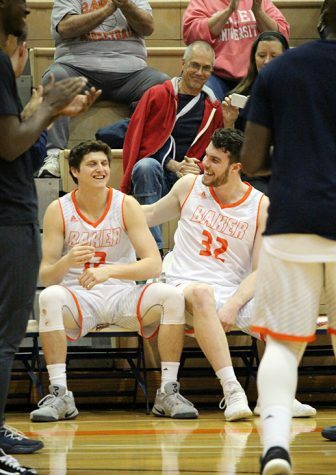 The Baker bench scored 62 of the team’s 94 points. The win bumped Baker to 3-4 in Heart play in a five-way tie for sixth place. The next week will be a huge test for Baker. 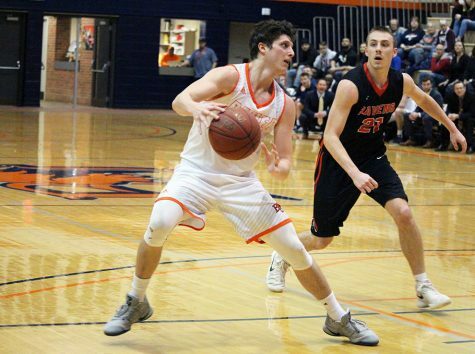 The Wildcats host the Heart’s best team, William Penn, on Monday night then take to the road for games against Peru State on Thursday and Grand View on Saturday. Two wins this week would be a big swing in momentum for this team.